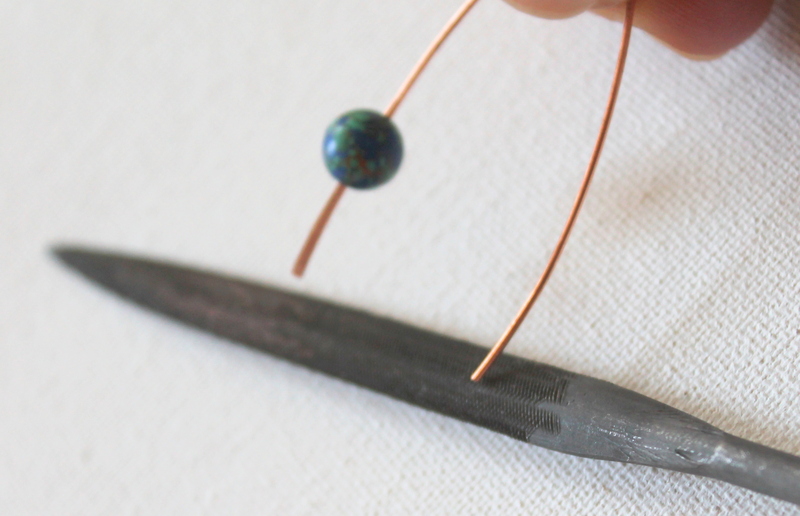 This week we’ll learn how to make a very quick and easy pair of earrings + we’re hammering! and Earrings Every Day Month. They both start on September 1st. 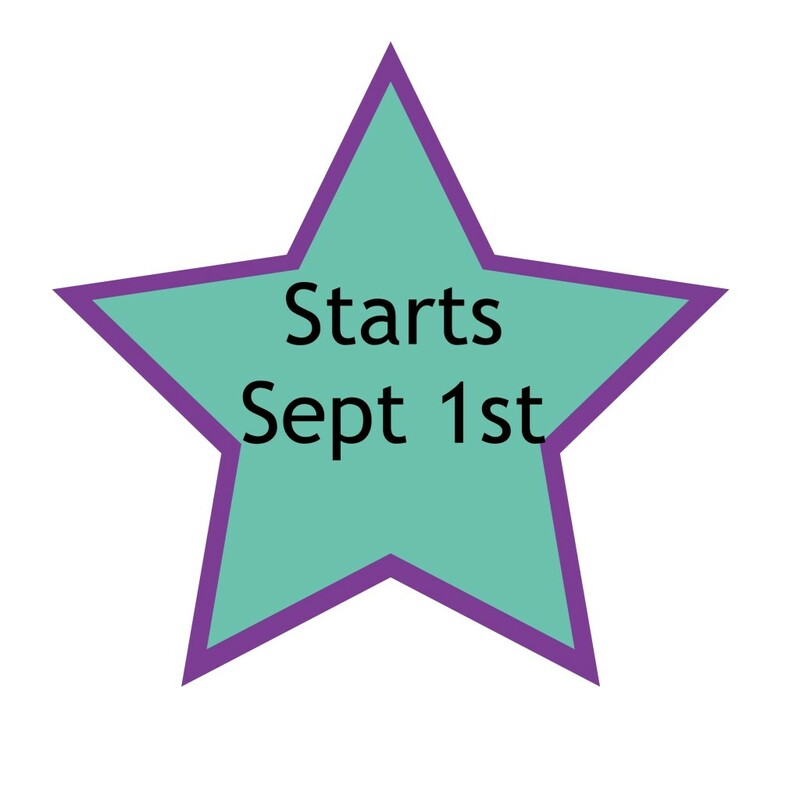 To participate in Earrings Every Day Month, make a pair of earrings every day in the month of September! 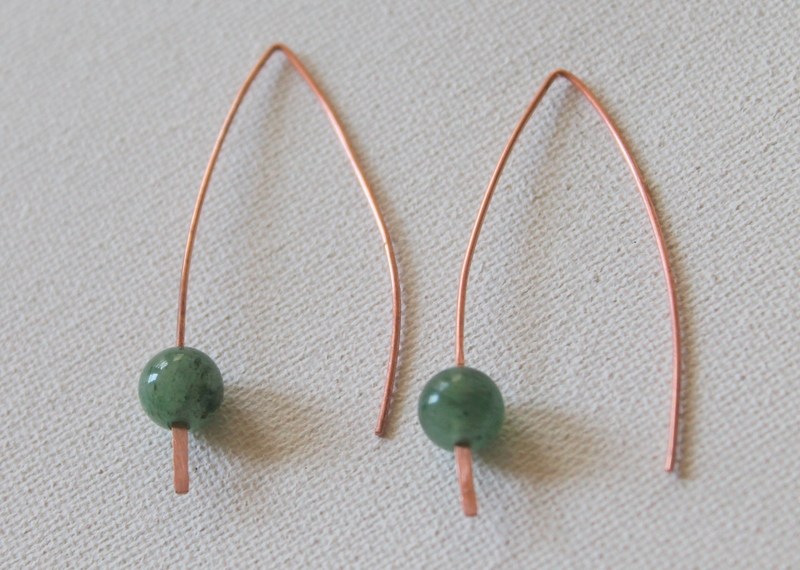 You can sign up for a newsletter to get daily emails from me with earring inspiration! 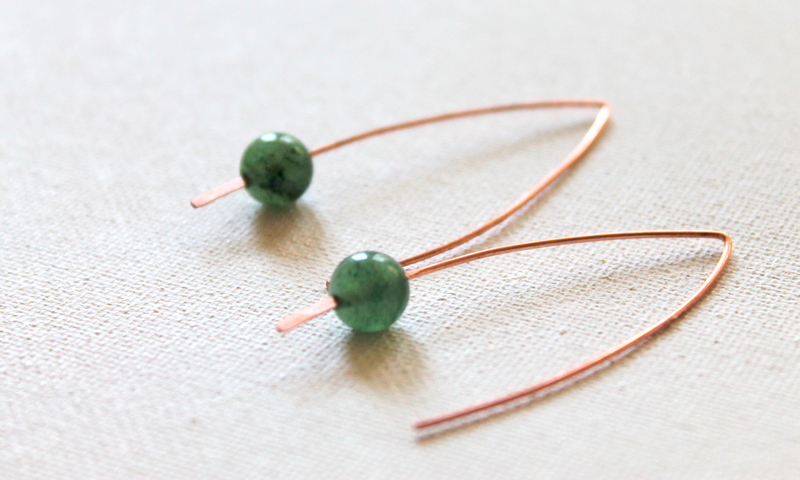 In Earrings eCourse you get a new earring tutorial in your inbox every single morning. So for Earrings Every Day, you get inspirational photos . . . In Earrings eCourse you actually learn how to make the earrings. 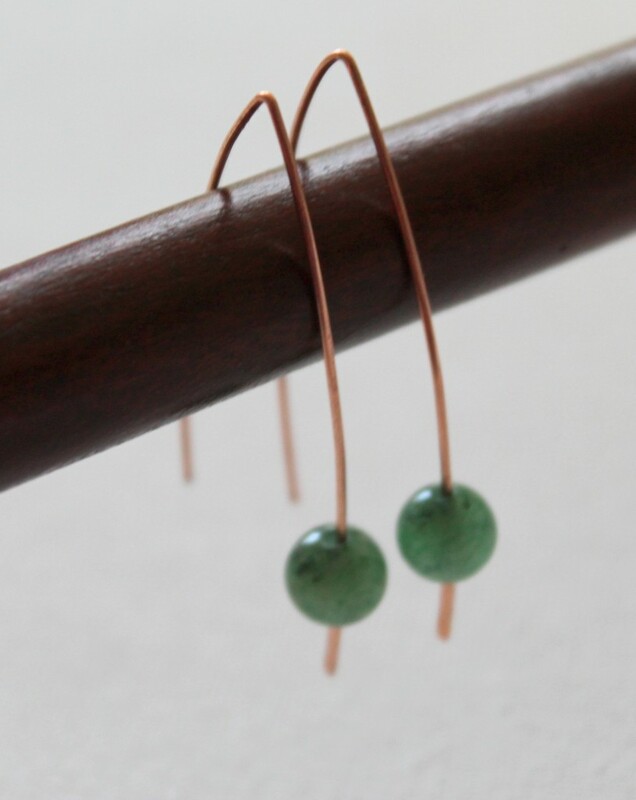 Earrings eCourse is on early bird special discount now through Thursday only. And it will only be available in September, so act now. To purchase Earrings eCourse – click here. Scroll down to the big red arrow and click add to cart. * About the beads for this project. 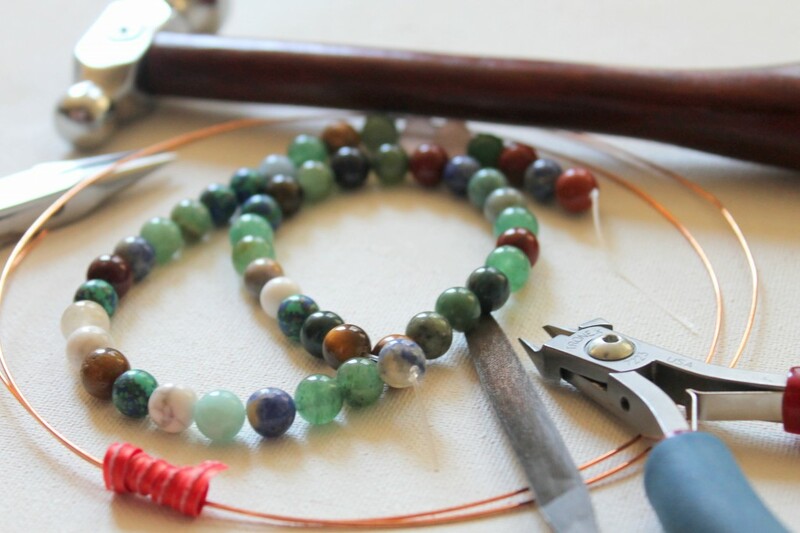 You can use any beads you like, but make sure the bore hole isn’t too big. 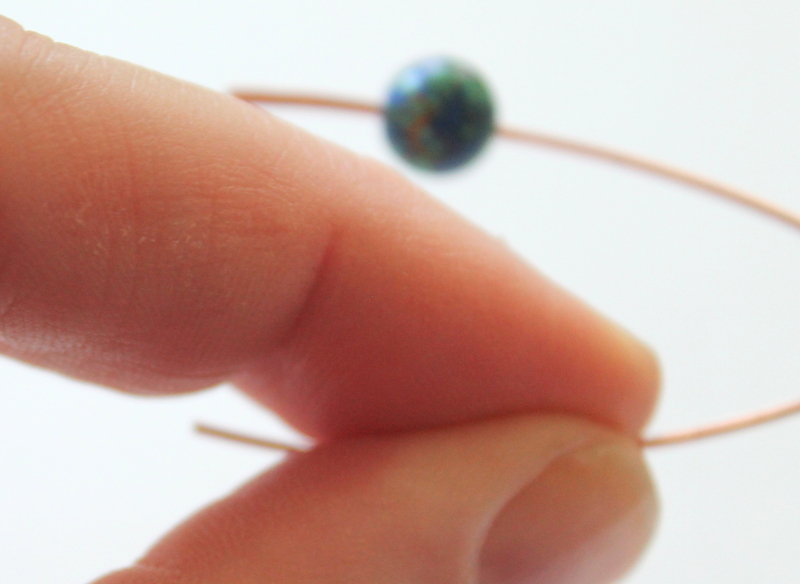 This might take a little experimentation if you’re trying different beads. Also remember when choosing beads to not choose beads that are too heavy and pull down your ears. 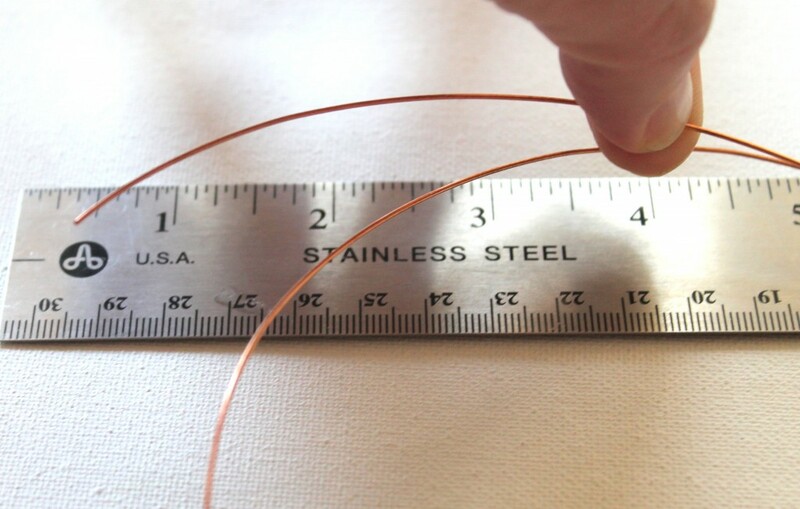 Cut 2 pieces of wire the same length. I cut mine to 4″. 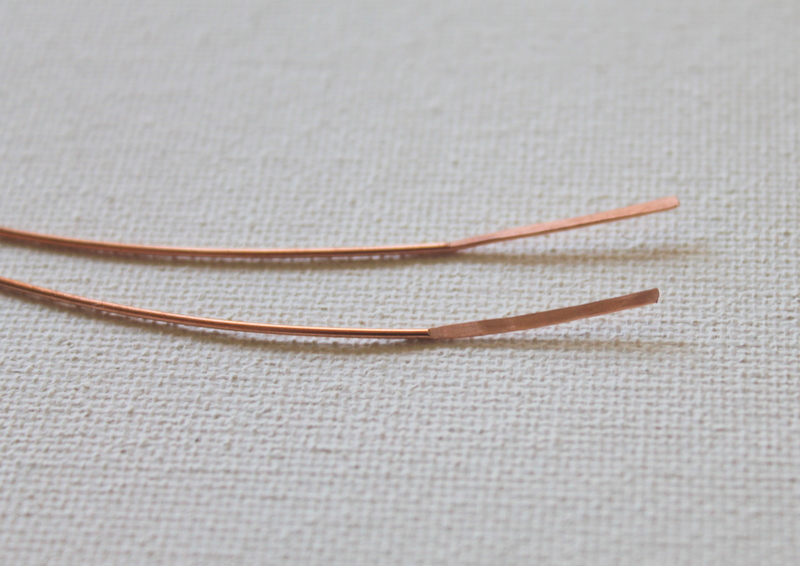 We’ll fold the wire in half, so in this case the earrings will hang about 2″ from my ears. You might want to make yours shorter or longer. Hammer one end of each wire flat with your chasing hammer. I hammered the bottom 1/2″. You can make sure to only hammer the amount you want by just putting that amount on the steel block. 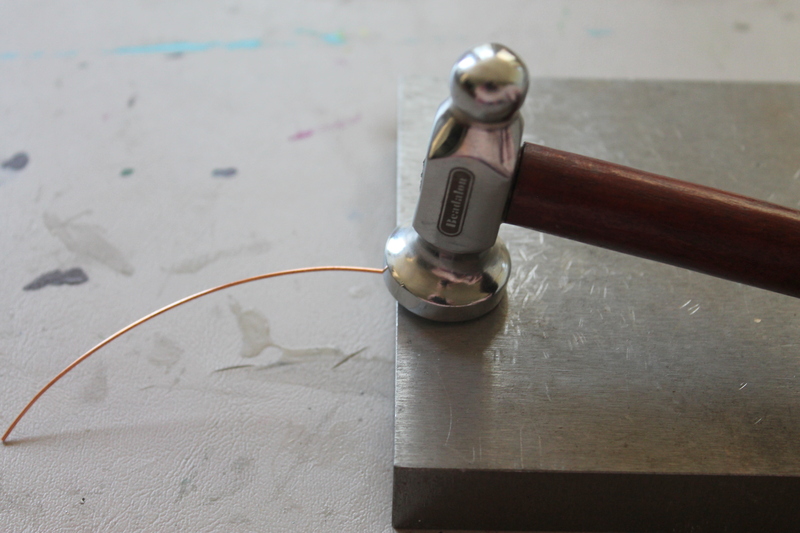 Alternatively, you could make a mark on the wire and then wipe it off when you’re done hammering. 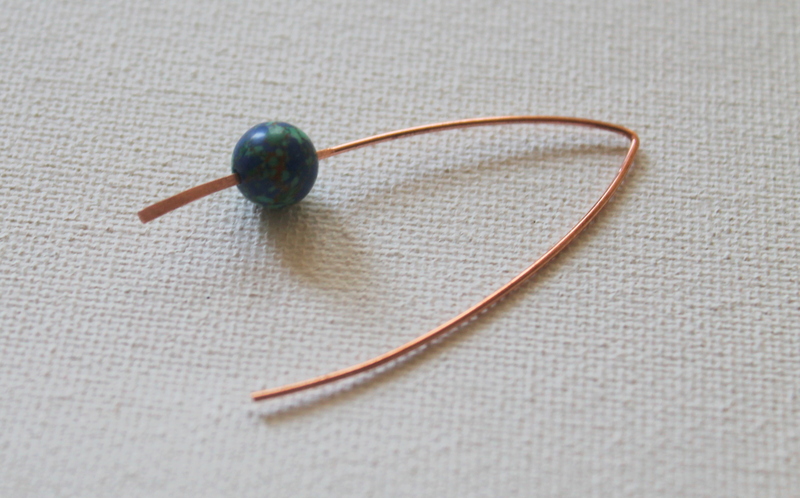 You are hammering the wire flat and it will be wider, too. 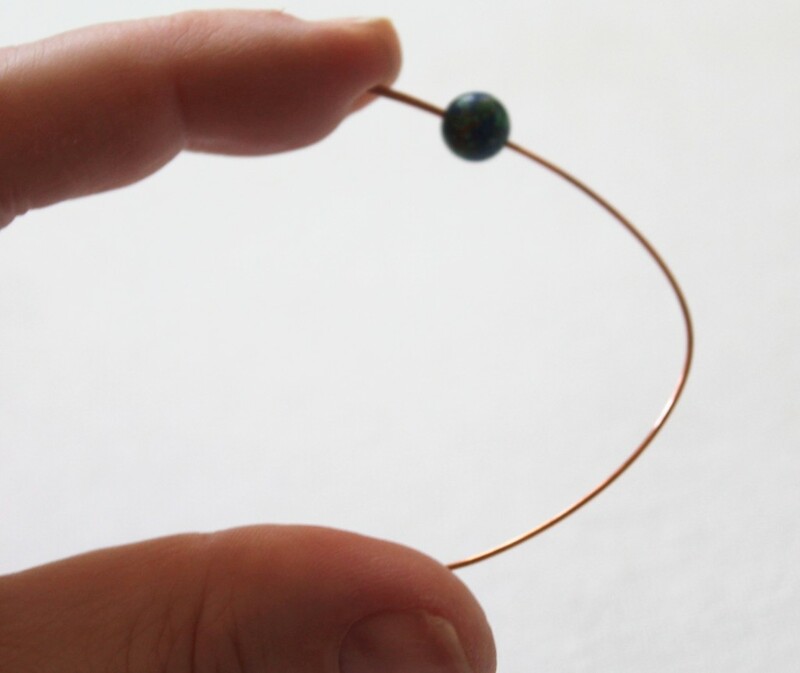 That is what will keep the bead on the wire. 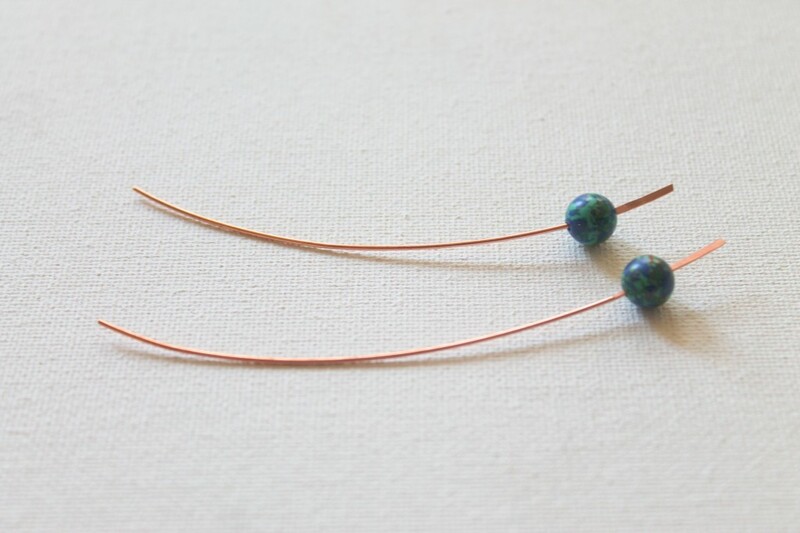 Slide a bead on each wire. 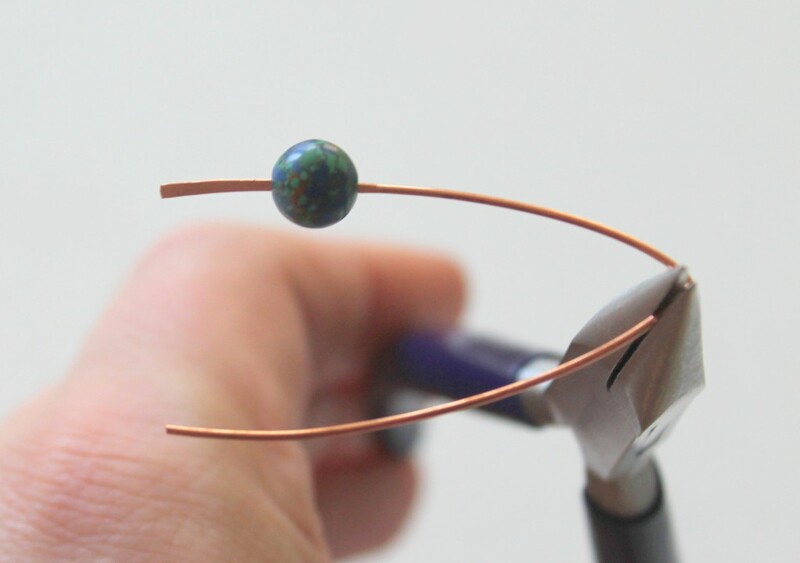 Use a bead with a smaller bore hole. Sometimes this takes a little experimenting. I like to loosely find the middle of the wire. 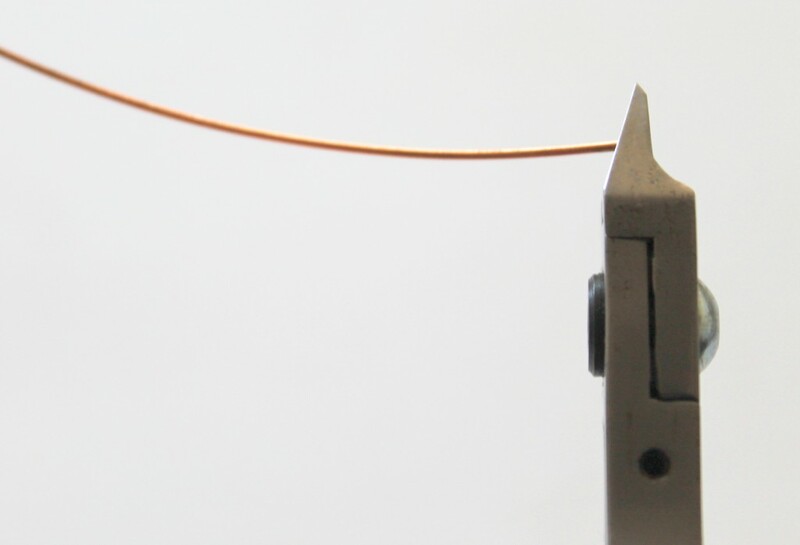 Bend the wire in half against chain nose pliers. Use your fingers to sort of curve out the wire. File the end that will go into your ears with a jewelry file or nail file. I like to round the edges. Want to feel a creative every day for a month in small chunks of time? Now on early bird special through August 28th. 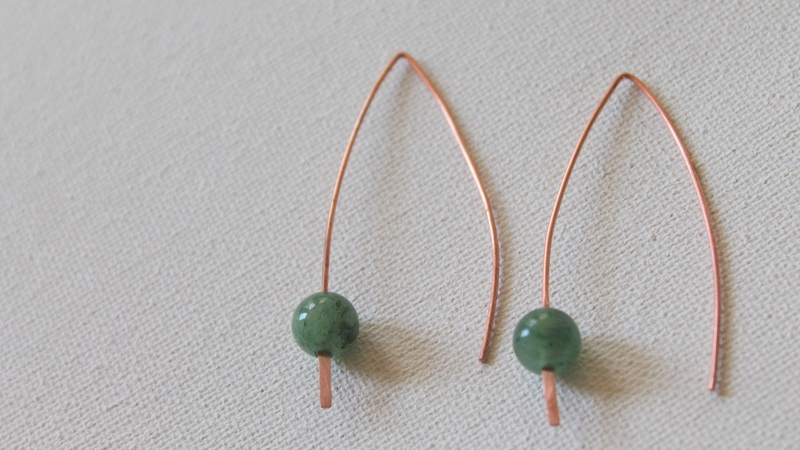 Get a new earring tutorial every single day for the month of September. 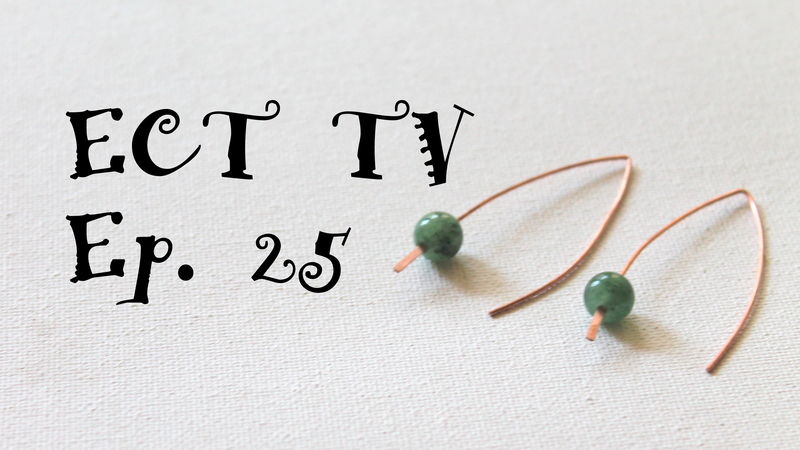 This entry was posted in ECT TV, How to Make Earrings, Jewelry Tutorials and tagged earrings, ETC TV, hammering, how to, how to make earrings, how to make jewelry, jewelry diy, jewelry tutorial, video, wire by Kimberlie. Bookmark the permalink. Very elegant, simple yet classy 🙂 Thank you for your tutorial!